When I was little, like most kids, summer was my favorite time of year. Not that I didn't love school, but how can you compare to the season of swimming, sunshine and ice cream!? From a very young age, I learned that hot days meant trips to Baskin-Robbins, the ice cream shop famous for its assortment of flavors. I always chose the most fun and colorful flavors, such as Oreo Cookie, Pink Bubblegum and Rainbow Sherbet. Baskin-Robbins may have invented the concept of creative flavors, but many other ice cream shops have adopted this trend and have come up with their own fanciful varieties. 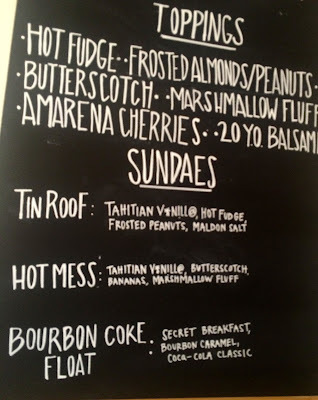 This concept has been taken to the next level by Humphry Slocombe, one of San Francisco's finest artisan ice cream makers located in the Mission district. 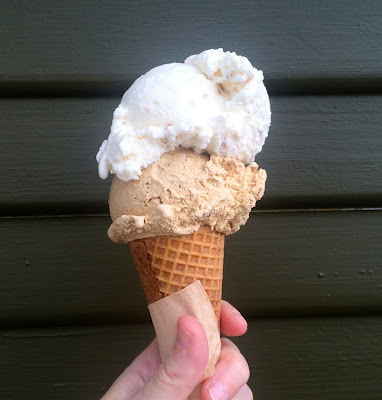 As you'd expect from a place with such an unusual name, Humphry Slocombe is all about creativity— which shines through in its unique selection of flavors. Many of Humphry Slocombe's specialties appeal to grown-ups with sophisticated tastes, especially the Campari Sorbet, "Secret Breakfast" Ice Cream made from cream, whiskey and corn flakes, and Vietnamese Coffee Ice Cream featuring a very strong Blue Bottle coffee brew. Other seasonal flavors appeal to adventurous gourmands, such as Banana Chai Ice Cream, Ginger-Lime Ice Cream and Carrot-Mango Sorbet. 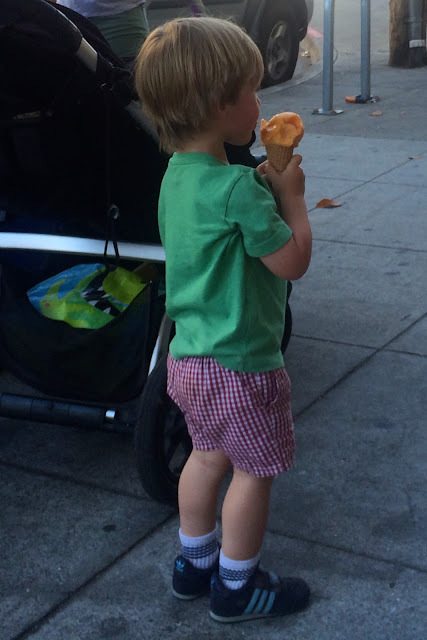 With the exception of the alcohol-infused flavors, Humphry Slocombe cones are a big hit among kids, too! Kids love Humphry Slocombe ice cream! Of all the flavors I tried, my top pick is the Ginger-Lime Ice Cream, a surprising combination of refreshing citrus fruit and creaminess. Just to let you know, the Carrot-Mango Sorbet was not bad, considering carrot is a vegetable, though it's not my favorite. 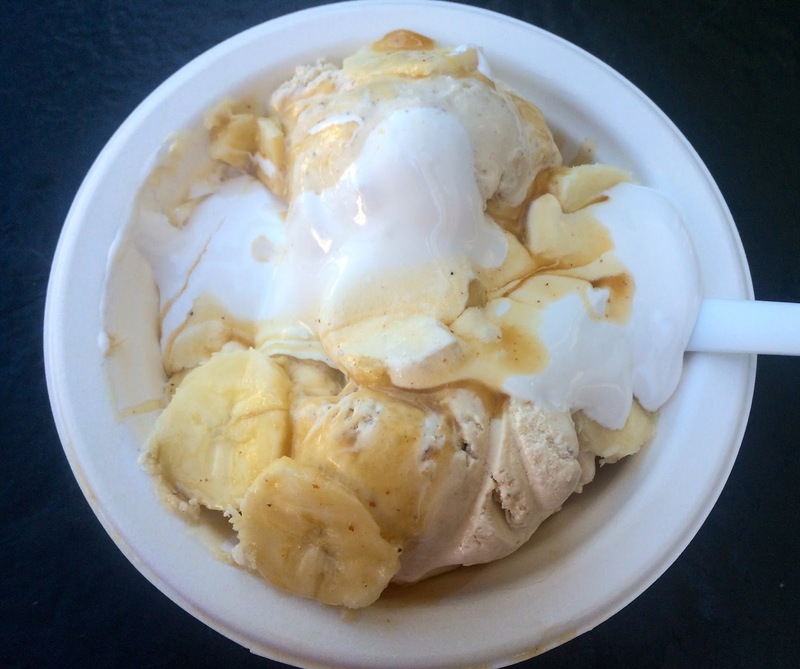 For those who want to really indulge, Humphry Slocombe offers a selection of decadent sundaes, complete with two ice cream scoops, hot fudge or butterscotch sauce. I recommend sharing a sundae because it's definitely too much for one person! Instead you could opt for one scoop with your choice of toppings. Enjoy your ice cream cup or cone while relaxing at one of the outdoor tables. The shop has a pleasant sidewalk space that's popular when the weather is nice! The Humphry Slocombe shop in the Mission (2790 Harrison Street) is open Monday through Thursday from noon until 9pm and Friday through Sunday from noon until 10pm. Here's to many wonderful warm days filled with fantastic frozen treats! Happy Summer! I still remember my favorite flavor from 2 years ago: Corn. I hope they have it this summer. The banana chai ice cream looks amazing! Do they have more traditional items like strawberry shakes? Hi Van! Humphry Slocombe makes a basic strawberry ice cream, but being irreverent calls it "Here's Your Damn Strawberry Ice Cream"! Since the shop is always original, they make eccentric varieties of strawberry ice cream including Strawberry Szechuan Sorbet, Andante Chevre & Strawberry Jam Ice Cream, Strawberry Black Olive Ice Cream and Strawberry Candied Jalapeño Ice Cream. These are season flavors, only offered on rotation when fresh strawberries are available. Humphry Slocombe doesn't do milkshakes. It's more a place to try the wonderfully unusual ice cream flavors! This looks amazing! If I can try beer nut and tahitian vanilla, all at the same store, I am there! Wow...the ginger-lime and Hot Mess" Sundae with Banana-Chai Ice Cream sound awesome. Thanks for letting me know about these awesome sounding seasonal flavors. I can't wait for the new one on Fillmore St. to open up! 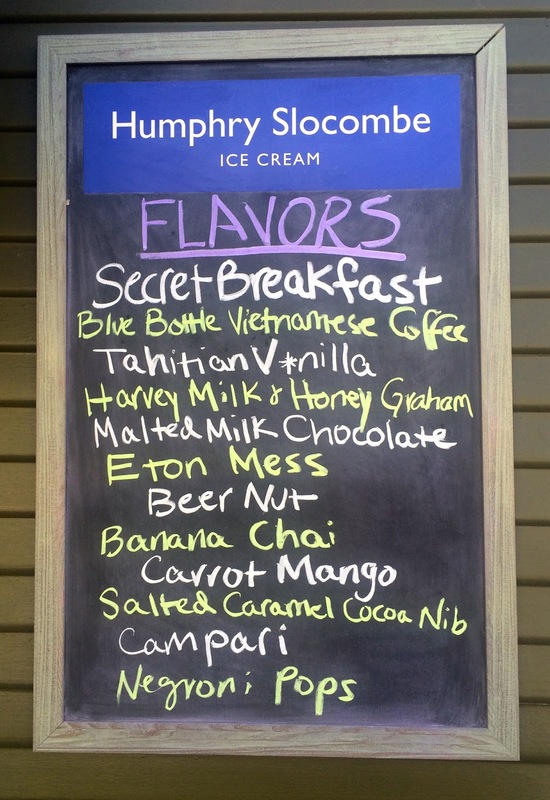 Liz, you should visit Humphry Slocombe soon because they change the flavors very frequently! Mickie, the ginger-lime flavor is truly amazing. Banana-chai is delicious, too! That is exciting about a new store opening soon!